A holibolup, a holiday/symbol mashup. 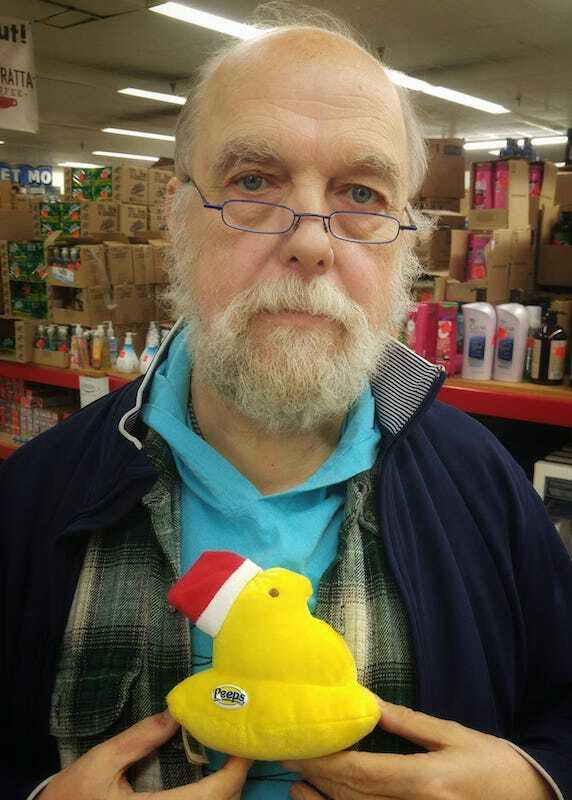 Horrified reader: I find the idea of a Christmas peep offensive. Next we’ll have werewolves with Valentines, groundhogs with Easter baskets, and leprechauns with sparklers. Where does it end?? Jeff: It doesn’t! What great ideas! noun holiday: ORIGIN Old English hāligdæg ‘holy day’. noun symbol: ORIGIN late Middle English (denoting the Apostles’ Creed): from Latin symbolum ‘symbol, Creed (as the mark of a Christian)’, from Greek sumbolon ‘mark, token’, from sun- ‘with’ + ballein ‘to throw [or toss]’ [as in ballistic]. Not that groundhogs, leprechauns, or Michael Myers with a knife are holy things. The inventory of holiday symbols. Whatever their origins, most people most of the time experience holiday symbols as elements of a rich popular or folk culture, acquired over some period of time in childhood, by word of mouth or (in modern cultures) through the media, entertainment, and advertising. Children are instructed in the systems of symbols during the passage of a year, often learning things in disjointed bits and pieces. Well, much of it is disjointed bits and pieces. How marshmallow Peeps come to be associated with Easter is a complex story; for most people’s purposes, it’s enough just to know that they are associated. Similarly with the red and white hat in #1 as associated with Christmas. 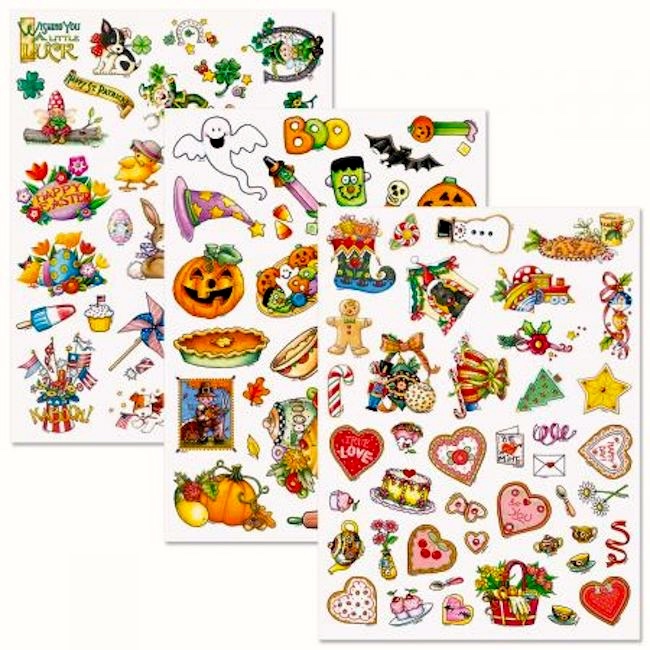 … for St. Patrick’s Day, Halloween, and Valentine’s Day; the company also offers stickers for Christmas, Easter, Thanksgiving, and the 4th of July. Yes, just play. But in school, almost all play is also instruction (though not all of it is graded). Bonus note. In a great many contexts in modern American culture, holiday (without any further context) refers to Christmas. If, for example, you google for “holiday stickers”, almost all the hits will be for Xmas stickers. Home for the holidays refers to the Christmas season. And so on. That is, at least in the US, Christmas is the default holiday, and the prototype of holidays. This should probably be reflected in dictionary entries. This entry was posted on October 28, 2018 at 11:27 am and is filed under Holidays, Prototype semantics, Signs and symbols. You can follow any responses to this entry through the RSS 2.0 feed. You can leave a response, or trackback from your own site.